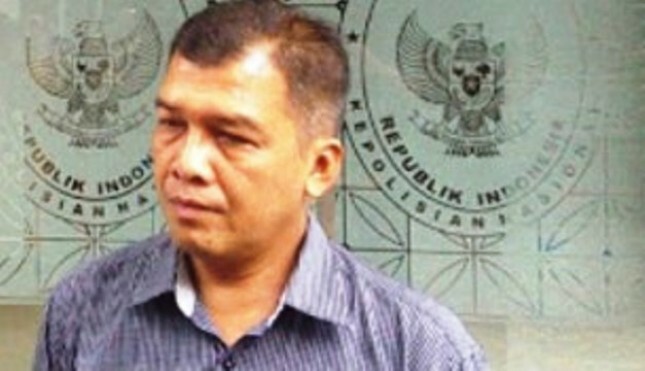 INDUSTRY.co.id - Jakarta- Chairman of the Police Journalist's Forum for 2014-2016 period Gardi Gazarin appreciated the pressures of various journalists' forums against the Press Council regarding the death of the Progress journalist, M Yusuf (45), who was allegedly unnatural. According to him, any motive of death of journalists in a prison cell, is an arbitrary and heartbreaking incident for the press in the country. "Therefore, it must be thoroughly investigated to the root not only involving the concern and solidarity of the press forum, but also the consistency of other authorities such as Komnas HAM in supporting the rights of journalists based on the code of ethics as well as the press freedom," Gardi told the RMOL Political News Agency, Thursday (14/6/2018). He said it is only natural that a large press family caring for compact law enforcement requires real disclosure, not just shouting. Do not blame the protest press forums lull a deep disappointment in various social media. According to gardi, who is also a senior journalist of Suara Pembaruan, if listening to the death of journalist Bernas Udin daily, allegedly because of the persecution of the news, has entered into the black sheet of the Indonesian press. In order to disclose the case, the press wherever it may be and may be busy participate report and urged investigation case to the local police. "On the one hand, post-suspect M Yusuf's death in the detention cell of the prosecutor's office is already under police investigation, as confirmed by the Commander-in-Chief of Police General Syafruddin that there should be no persecution against any journalist let alone the news," Gardi said. Therefore, the former Chairman of the National Police Journalist Forum is also optimistic that Police Chief Gen Pol Tito Karnavian has instructed his staff to immediately investigate with the target of resolving brightly and according to the procedure to what extent the motive of the journalist's death by examining witnesses and other sufficient evidence for the sake of investigation. Muhammad Yusuf's family, 42, Progress journalist and Berantas News, who was killed in Class IIB Penitentiary Kotabaru on Sunday, June 10 will sue Kotabaru Police and Kotabaru State Prosecutor's Office. The wife of the deceased Yusuf, T Arvaidah handed over the lawsuit material to the team of lawyers who from the outset of the rolling case had accompanied her late husband. "There is an unnatural death. I was barred from entering the visa room because the medical officer reasoned that I was not strong enough to see the corpse. So I waited outdoors, "T Arvaidah told the media some time ago.